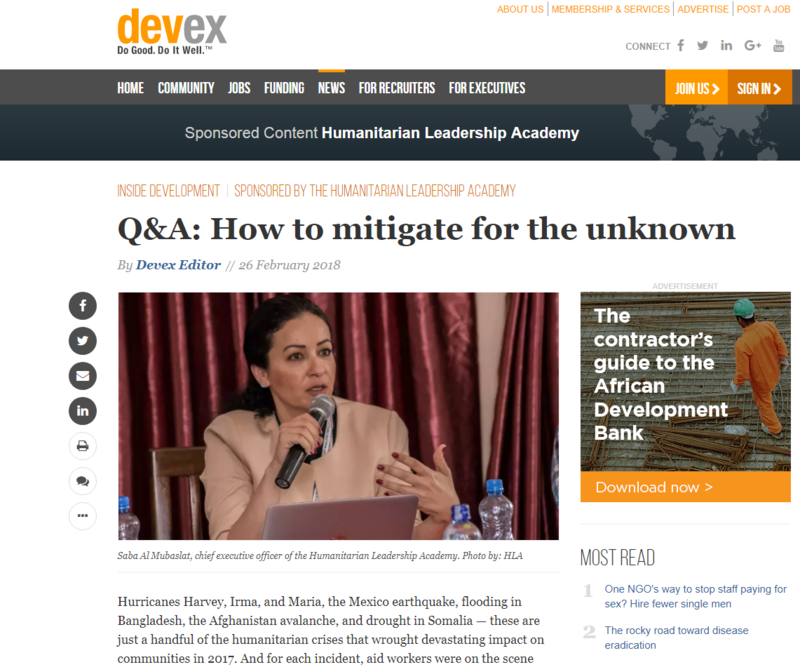 "In training the next generation of humanitarians and volunteers, we’re focusing on the basics, reminding ourselves of our responsibilities: accountability to affected people, safeguarding, and protection of vulnerable communities," said Saba Al Mubaslat. "Whether during an emergency response, or in preparing for one, all those involved must ensure they are following the “do no harm” principles and the Core Humanitarian Standard. All humanitarians, including volunteers, need to be continually taking refresher training. Only by ensuring we’re responding in an efficient, ethical, and appropriate way, will we do the best we can for vulnerable people."